← Forum: What Was Your Reaction To The Chattanooga Attack? Don’t like what Trump says? What if it is true? What if it was taken out of context? And even if it is not popular, what happened to Freedom of Speech? Trump Says McCain Is Not a War Hero… or did he? “Four times, I said he (McCain) is a hero,” Trump said on July 19th, citing a fact-check by journalist Sharyl Attkisson, but what Trump did go on to say was that McCain “has done nothing to help veterans”; suggesting the senator should actually apologize to him for insulting Trump supporters. But you know … people in the mainstream media cobble together little selective pieces to spin the news their way. Some, like the HuffPo, have even decided on to cover Trump. If you read or watched what Trump actually said about McCain, you’d probably agree that there was nothing wrong. See what Linda Qiu of PolitiFact found and see Trump’s Truth-O-Meter record. Although until recent years, Americans were the freist people in the world to voice their opinions and our Founding Fathers gave us a road map for freedom. Yet with all that freedom, Americans are some of the least informed people on the planet and are afraid to speak out about their opinions, especially when it comes to politics, religion, and race relations. Too afraid to offend, which has multiplied 10-fold as we let progressivism and political correctness replace truth and common sense. This is why people like Donald Trump and Sarah Palin, who stand with and for the people, occasionally come onto the political scene and quickly rise to the top. But the political elites from both parties don’t want to lose their cushy jobs, their under the table deals, their benefits and most of all their control. So of course, the liberal left will do anything to push the ideals of freedom and capitalism off the stage and with them anyone who espouses those values, for the elites’ vision for America and the future doesn’t include those ideals. And because our media leans more and more left, they have a built in propaganda machine at their fingertips. There are also certain subjects that have become near complete taboo. One of those is questioning an old war veteran’s stories; it’s politically incorrect. And Trump was pummeled when he opened that door with John McCain. But when you take a closer look, McCain’s service, war and POW story, Senatorial service and overall life might really not be quite as it was told… even though that is ‘not’ what Trump said. The truth is that there are many stories that support Trump’s comments and many more stories and videos that supported the facts about McCain’s overall flawed life until McCain decided to run for president in 2008. Then some were added, but many more disappeared. And if you build your political life on a lies, shouldn’t it matter, especially if you run for president? And shouldn’t it be a warning for possible future behavior and past problems? “People that fought hard and weren’t captured and went through a lot, they get no credit. Nobody even talks about them. They’re like forgotten. 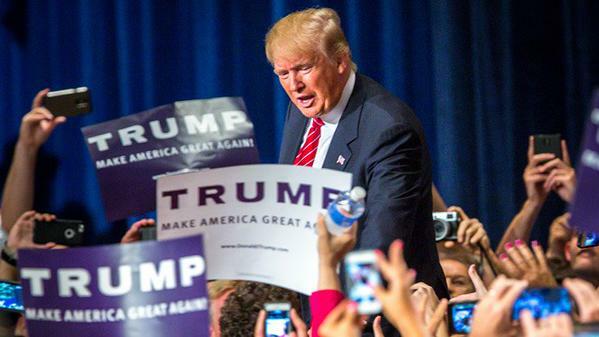 And I think that’s a shame, if you want to know the truth,” Trump said Sunday in Iowa. “People that were not captured that went in and fought, nobody talks about them. Those are heroes also,” he said. In an interview on Fox News, Trump hit the Arizona senator again, saying McCain has failed to play a positive role in fixing veterans’ lagging health care system. “He’s all talk and he’s no action,” Trump said. He also compared the criticism he’s faced from Republican presidential contenders to the blowback his comments on undocumented immigrants from Mexico. “I brought illegal immigration to the forefront. I believe now I’m bringing the veterans — the plight of the veterans — to the forefront,” Trump said. But more than one source tells us that Trump was not wrong in his comments about McCain’s failure to help Veterans and even if he had said that McCain was not a war hero. McCain is only a hero, if the act of being captured alone, gives you that status, regardless of your actions in captivity! It seems the “war hero” candidate buried information about POWs left behind in Vietnam. Don’t think you’ll read that account in McCains book: Faith of My Fathers: A Family Memoir. And if you have a father and grandfather who were both Admirals, it is amazing how history can be rearranged! There is more than one person who would question whether McCain was a war criminal instead of a war hero. McCain’s 5½-year stay at the Hanoi Hilton (officially Hoa Loa Prison) has ever since been the subject of great controversy. He maintains that he was tortured and otherwise badly mistreated. One of many who disagree is Dennis Johnson, imprisoned at Hanoi and never given treatment for his broken leg. He reports that every time he saw McCain, who was generally kept segregated, the man was clean-shaven, dressed in fresh clothes, and appeared comfortable among North Vietnamese Army officers. He adds that he frequently heard McCain’s collaborative statements broadcast over the prison’s loud speakers. John McCain is a member of the pro-amnesty gang of eight whose so-called immigration reform bill would have reduced Republicans and conservatives to permanent minority status in the U.S.; a questionable stance for a Republican Senator from a border state like Arizona! And many felt their bill also opened the door to gun confiscation. The bill, a betrayal to Americans, was a ruse claiming to promote “immigrant integration” that in reality would have given taxpayers’ money to left-wing and Islamist activist groups such as CASA, La Raza, MALDEF and CAIR. It also appears that John McCain Pressured Obama’s IRS Lois Lerner to Attack Tea Party Conservatives. 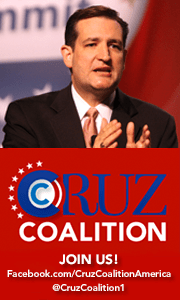 Now isn’t that interesting since his running mate, Sarah Palin, is and was the Tea Party’s darling and her addition to the ticket is what finally brought him ahead of the Obama in the polls during McCain’s 2008 Presidential bid? Remember the adage, “If you really want to know someone, just look at their friends. Well, if that statement is true, this photo says it all. 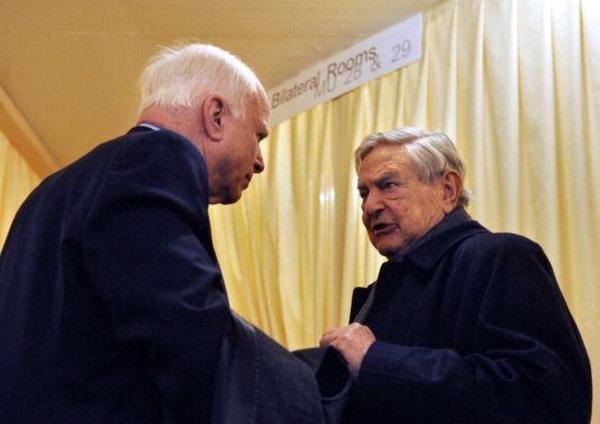 McCain with his good friend George Soros; puppetmaster of both Obama and Hillary. Soros has destroyed economies and countries and has manipulated politicians and policies within the United States for decades. Then sprinkle in the Senator’s questionable friend John Kerry. One might also want to add a question about loyalty to teammates, or was McCain the elite plant and opportunist in the 2008 election; having agreed all along to take the fall for Obama to win and to take down an ‘up and coming’ competent, courageous and charismatic governor from Alaska that worried the power elite? Is McCain onboard again to help destroy Trump this time around? The biggest hurdle to winning the White House in 2016 will be the Republican Establishment, which McCain is part of, NOT the Democrat nominee. The election and time to get involved is “now”! I am a babyboomer and empty nester who savors every moment of my past and believes that it is the responsibility of each of us in my generation and Americans in general to make sure that America is as good or even a better place for future generations as it was for us. So far... we haven't done very well!! Favorite Quotes: "The first 50 years are to build and acquire; the second 50 are to leave your legacy"; "Do something that scares you every day! "; "The journey in between what you once were and who you are becoming is where the dance of life really takes place". At age 62 I find myself fighting inoperable uterine Cancer and thanks to the man upstairs and the prayers from so many people including many of my readers from AskMarion and JustOneMorePet... I'm beating it. After losing our business because of the economy and factors related to the re-election of President Obama in 2012 followed by 16-mos of job hunting, my architect-trained husband is working as a trucker and has only been home approximately 5-days a month since I was diagnosed, which has made everything more difficult and often lonely... plus funds are tight. Our family medical deductible is 12K per year for two of us; thank you ObamaCare. But thanks to donations from so many of you, we are making ends meet as I go through treatment while taking care of my father-in-law who is suffering from late stage Alzheimer's and my mother-in-law who suffers from RA and onset dementia as well as hearing loss, for which there are no caretaker funds, as I continue the fight here online to inform and help restore our amazing country. And finally I need to thank a core group of family, friends, and readers... all at a distance, who check in with me regularly. Plus, I must thank my furkids who have not left my side through this fight. You can see them at JustOneMorePet. This entry was posted in Alerts, Americana, Books, Choices, Common Sense, Constitution, Dumbing Down of America, Elections, Freedom, Freedom of Speech, History, Knowledge Is Power, Leadership, Lies, Media, Military, News and politics, Politics, Progressivism, Wake Up, Watch the Other Hand, You Be the Judge and tagged 2008 Election, 2016 Election, Adulterer, amnesty, Arizona, betrayal, Bully, CAIR, CASA, Donald Trump, elections, Freedom of Speech, freedoms, GOP, gun confiscation, IRS, ISIS, John McCain, La Raza, Liar, Lois Lerner, MALDEF, McCain, MIA, Palin, Political Correctness, POW, puppetmaster, RINO, ruling elite, Sarah Palin, Soros, Taboo, tea party, traitor, Trump, Truth, veterans, Vietnam, Warmonger. Bookmark the permalink. Pingback: Watcher’s Council Nominations – ‘Nothing To Do With Islam’ Edition | Virginia Right!